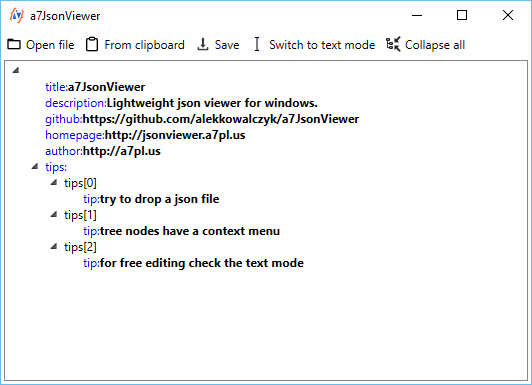 Lightweight json viewer for Windows. 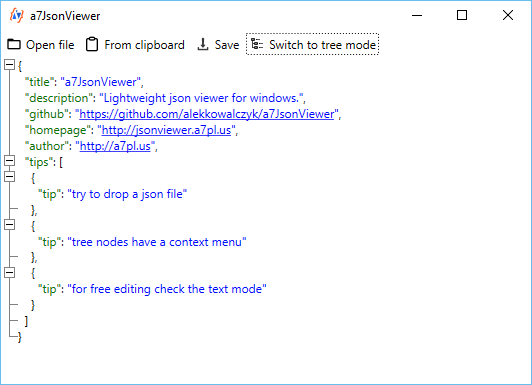 The file can be saved after edit, and that's all. As simple and lightweight as it can get. This simple app was reviewed by softpedia.com and got the "100% CLEAN award"